Jason Samuels Smith, Dormeshia Sumbry-Edwards and Derek Grant in And Still You Must Swing. Photo by Christopher Duggan; Courtesy: Divine Rhythm Productions. Mr. Gaga screens on Jan. 15 as part of ERJCC’s Dance Month. Photo by Gadi Dagon. One of the remarkable things about dance is its consistent ability, despite diversities in origin, method, belief, or even time, to demonstrate our human similarities while providing opportunities to celebrate and appreciate cultural differences. I had this affirming thought recently during a conversation with Maxine Silberstein, dance director of Evelyn Rubenstein Jewish Community Center of Houston, about Dance Month 2017 at the Kaplan Theatre, Jan. 12-Feb. 12, 2017. Silberstein has helmed the annual event for the majority of what will be 37 seasons this January. The events of Dance Month kick off the year for the dance community and its appreciators in Houston. As usual, the planning by Silberstein and her committee, which begins 12 months in advance, has delivered a roster of both local and visiting artists that is enriching in its diversity and content. Tap dance has proven to be one of the most popular highlights of Dance Month over the years. According to Silberstein, committee members Emilie Koenig and Tony Merriwether suggested bringing excerpts from Dormeshia Sumbry-Edwards’ And Still You Must Swing and Jason Samuels Smith’s Going the Miles to the Kaplan stage. 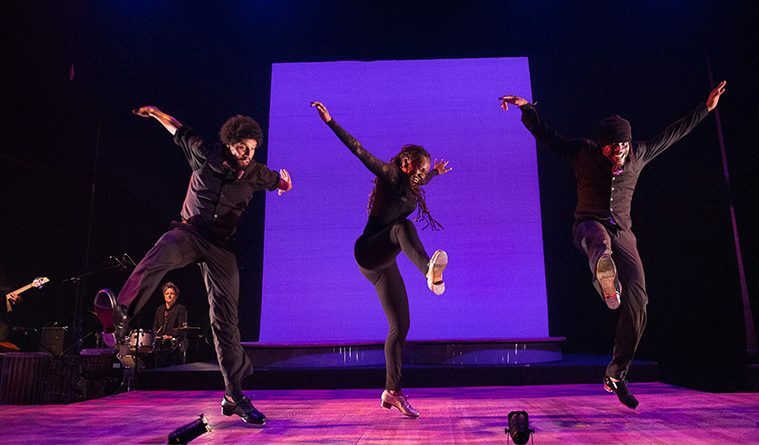 Tap luminaries Sumbry-Edwards, Smith, and Derick K. Grant come together in And Still You Must Swing, which made a powerful and emotional debut at Jacob’s Pillow Dance Festival last summer. 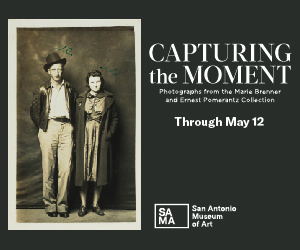 The show captures the heart and legacy of tap dance while honoring the influence of jazz roots on the art form with a social relevance that goes beyond entertainment. Similarly, Going the Miles goes further than simple tribute to legendary jazz musician Miles Davis. This collective concert takes place Feb. 11; The following day, Dance Month at the Kaplan Theatre will host tap master classes by Smith, Grant, and Sumbry-Edwards– a triple treat for tap dancers in the community. Also not to be missed is award-winning documentary, Mr. Gaga, which makes its Houston premiere on Jan. 15. Documented over a period of eight years, Tomer Heymann’s film tells the story of Ohad Naharin, the celebrated choreographer and artistic director of Israel’s Batsheva Dance Company. Naharin made his choreographic debut in 1980 while living in New York City and continued to develop his voice and accumulate critical acclaim stateside for a decade before assuming his role at Batsheva. “The screening is a homecoming of sorts for Naharin, who appeared during Dance Month with his New York-based company Ohad Naharin & Dancers many years ago,” Silberstein noted. Now the primary training method for the Batsheva company, Naharin’s unique Gaga movement language and pedagogy is impacting modern dance and influencing dance-makers worldwide. Gaga emphasizes exploration of sensation and multi-dimensional movement through a continuous series of imagery-laden instructions. Following the film there will be a Gaga/people class, for which no prior dance experience is necessary. The class is led by Amy Diane Morrow, a local teacher and choreographer, who is the only Texas instructor certified in Gaga directly under Naharin. Dance Month participants are also invited to experience Israeli Dance on Jan. 14 as Morrow leads a Gaga/dancers warm-up class. Following will be an informal showing of work by both Morrow and Israeli choreographer, Idan Sharabi, whose choreographic processes and artistic voices are informed by the Gaga Toolbox. Discovering the power of improvisation, Sharabi’s latest work, Now, is a creation in the moment. Lindsey McGill and Roberta Paixao Cortes. 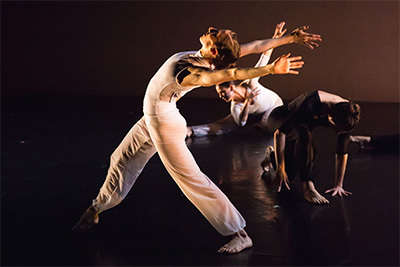 Local dance artists again come together for Houston Choreographers X6 at the Kaplan on Jan. 28, featuring a diverse program of six new premieres by choreographers, Jacquelyn Boe, Roberta Cortes and Lindsey McGill, Rebecca French, Dorrell Martin, Stacy Skolnik and Kathy Wood. 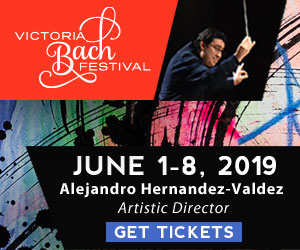 Houston Ballet II puts in a guest appearance performing Balanchine’s Allegro Brillante, a joyous work the ballet master himself described as a concentrated essay in the extended classical vocabulary. Towards the Gypsy Roads (Hacia los Caminos Gitanos), an educational journey conceived by Marisol Monasterio on will be presented Jan. 13. The program explores the evolution of Flamenco in a religious and culturally tolerant environment and the influence of Jewish traditions, rites, and music on the art form. In partnership with the Society for the Performing Arts, Dance Month offers “SPA at the J” Series Pilobolus dance master class for intermediate/advanced dancers on the evening of Jan. 19. Ariel Rivka Dance will provide a children’s program underwritten by the Jewish Federation of Greater Houston for PJ Library Families and youngsters ages 3-5 (Jan. 22). A pre-performance workshop on how music and movement are used to tell a story will be given by Artistic Director Ariel Grossman and composer David Homan, followed by the family-friendly performance that tells the stories of two fearless, powerful women, Vashti and Esther and is an excellent way to introduce the Purim holiday in March to children with a visual, music and interactive dance program. 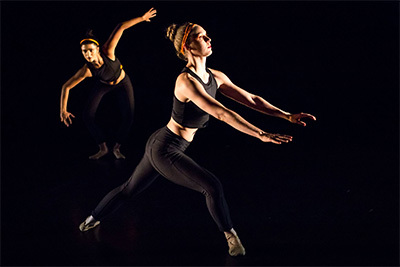 The all-female contemporary dance company will also give an afternoon repertoire performance.